Brittany Maria King, Mobile, Alabama is the 2018 WSGA Scholarship winner. She plans to attend Maryville University and major in Actuarial Science with a minor in Spanish. She has participated in several honor organizations at her high school including Honor Society, Academic Letter and Bar, and AP Scholar. She is president of the Spanish Honors Society. She has been captain and played on the varsity golf team for 3 years. 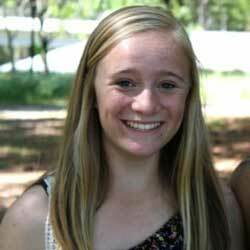 She is an active volunteer and participant in junior Civitan and Key Club. Congratulations to Molly Ann Norris of Winfield, Alabama, winner of the Women’s Southern Golf Association 2017 Scholarship. This year’s winner attends University of Alabama where she majors in nursing. 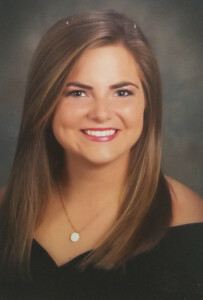 Molly has participated in several honor organizations at her high school including National Honor Society, National High School Scholars and Student Government President for 3 years. This year’s recipient is a Birmingham Southern distinguished Scholar Finalist. She is an active volunteer/participant in Habitat for Humanity, a member of the Varsity Golf Team and a Wendy’s Heisman state finalist. The WSGA scholarship was established to assist deserving female golfers residing in the 15 southern states and the District of Columbia to obtain four years of higher education. The scholarship was first awarded in 1971 to Hollis Stacy to assist in going to the USGA Junior Championship. The first actual scholarship was awarded in 1973 to Martha Jones (Lang) of Decatur, Alabama. Congratulations to Najma C. Thomas!! Najma C. Thomas of Silver Spring Maryland is the 2016 Scholarship winner. She plans to attend Spelman College with a major in Engineering. She has founded several chapters of organizations at her high school including the National Honor Society of Black Engineers, STEM, and Minority Scholars Program. She is a National Honor Society member and has interned at the George Washington University Biochemistry Lab. She is an active volunteer/participant in the First Tee Golf Program, FRC, Kids Enjoy Exercise, NFTE, Tiger Woods Quicken Loans National Bearer and a member of the Soccer and Varsity Golf teams. Anna Pope attended Chattanooga Christian School where she was in the National Honor Society and on the Varsity Golf team for four years. 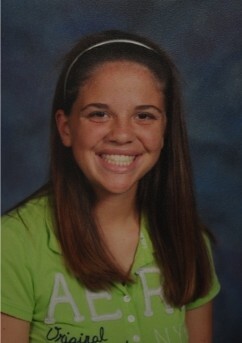 She plans to attend Austin Peay State University in Clarksville, TN this fall and major in English. Her career plans are to teach High School English and coach High School Golf. 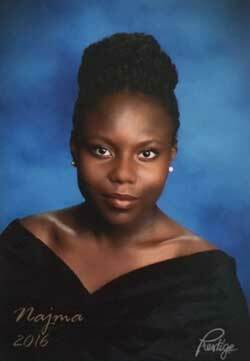 Ashley is graduating Senior from Little Rock Central High, has been awarded the 2013 WSGA academic scholarship. This is a four year scholarship that will take her through her studies in biology at Hendrix College, Conway, AR. Baker, a member of the National Honor Society at Little Rock Central has her sights set on becoming a veterinarian. She is a graduate of Winter Springs High School with a GPA of 4.1. 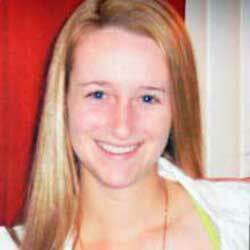 She was ranked in the top 10% in a class of 497 students. Tiffany was captain of her high school golf team and made 2nd Team All Conference and will be attending the University of Florida. The WSGA’s 2010 scholarship recipient is Victoria (Tori) Haege. She is a graduate of Riverdale High School in Murfreesboro,Tennessee, where she was ranked in the top 1% in her class of 515 students. She is now attending Middle Tennessee State University in Murfreesboro, TN. She has been very involved in school and community activities. Listed here are a few of her activities: Member of the National Honor Society, Who’s Who among High School Students (4 years), Gold Leadership Award in FFA, Girl Scout Counselor, Swim Team, Diving Team & Fast Pitch Softball. One of her goals is to open her own veterinary clinic and incorporate a time for animals that may not receive the care they need due to a lack of funds from their families. 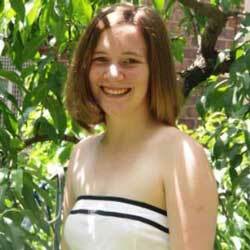 The WSGA’s 2009 scholarship recipient is Mary Ellen DiTommaso. She is a graduate of Celebration High School in Celebration, Florida, where she was ranked # 4 in her class of 350 students. 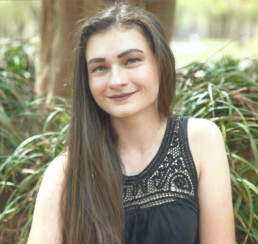 She plans to attend the University of Florida and will begin her studies in industrial engineering, with a minor in math or business and eventually obtain a masters degree in engineering. She has been very involved in school and community activities. Listed here are a few of her activities: member of the National Honor Society, Taught sign language to elementary school children, Selected for Who’s Who of American High School students, Member of the Yearbook staff, Volunteered for many hours of community service raising money for various charities, member of the High School golf team for 3 years, Volunteered many hours tutoring other students. One of her goals is to start a non-profit organization in her community that teaches girls ages 6 to 18 how to play golf. She also plans to continue tutoring elementary students in math, while attending college. 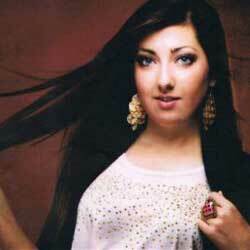 Caraline Fain Griffith, daughter of Jon and Melinda Griffith, resides in Peytona, West Virginia. Caraline has been accepted into West Virginia University’s five year Aerospace and Mechanical Engineering program. She wants to pursue a career with NASA. 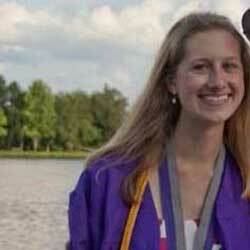 As a senior, she was President of the National Honor Society and President of her school-wide Student Council. 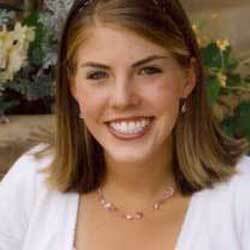 She is her class valedictorian having received many academic awards. She is very involved in community activities. She loves golf and has been on her high school team for four years. Ileana is an outstanding student at Gregory-Portland High School in Portland, Texas. 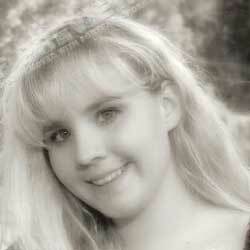 She was a member of the National Honor Society, graduating with a GPA of 100.6. She had four AP classes her senior year, making A’s in all of them. She was named to Who’s Who in American High School Students. 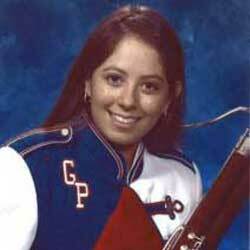 In addition to being Captain of the Girls’ Golf Team, she found time to serve as French Club Vice-President, Color Guard Lieutenant, was in the marching band and served as a math tutor. She will be attending Texas Tech University. 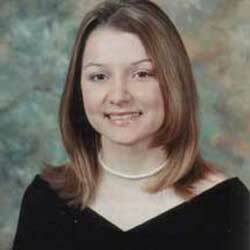 Marissa is an outstanding student at Union High School in Tulsa, OK. She ranked in the top 6% of her class. ; In addition to playing on the High School Golf Team all four years she found time to serve on the High School Student Council, Executive Board, Class Cabinet and State Student Council Convention. 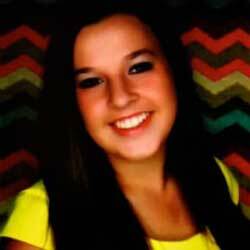 Community activities played a large part of Marissa’s high school years. She has logged more than 200 hours of community service. Her volunteerism was highlighted by a trip to a remote part of Brazil to assist in a building project on the Amazon River. She returned home to help raise additional money to help with this project. Marissa plans to attend Drury University in Springfield, Missouri and major in Business Management. Marisa is an outstanding athlete playing golf, volleyball, basketball and track. She plays an instrumental role in several community projects, including keeping the sports complex maintained. She will be attending Southwestern University.